Skype is a great communication tool for touching base with a family member, friend or business associate through text, voice, and even video chat. Due to its ease-of-use and widespread adoption, many everyday individuals, as well as large corporations, utilize the Skype application to connect with others both across the street and across the globe. With that said, Skype isn't for everyone and you may reach a point where you want to delete your account altogether. Perhaps you've found a superior service or you simply no longer need what Skype offers. No matter your reason for jumping ship, deleting your Skype account is a multi-step process that can be a little tricky depending on your particular profile details. Fortunately, we've got you covered for these scenarios. 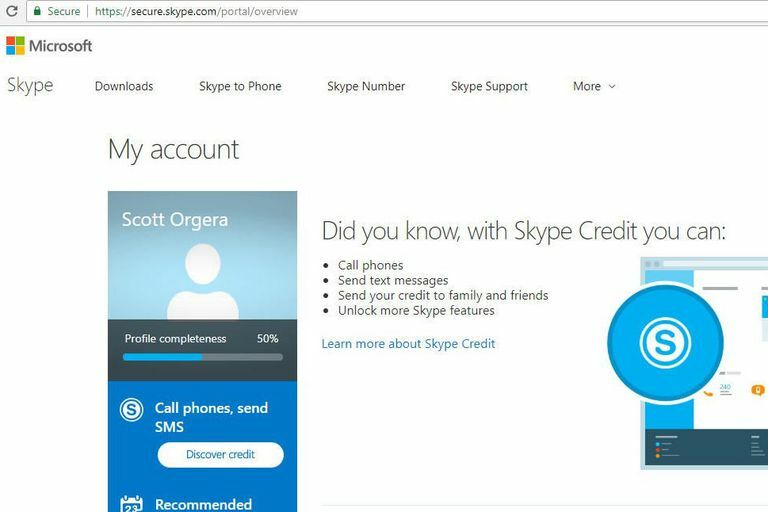 Since your Skype account is tied to your Microsoft account, you cannot delete it completely without also disabling the latter, meaning you could no longer access Windows, Xbox Live, Outlook.com, and other Microsoft services. For the purposes of this tutorial, we assume this is not a viable option and will instead show you how to stop your Skype account from being billed, as well as how to remove your personal information from the Skype database. If neither option is suitable, and you're sure you'd like to completely shut down your Microsoft account, visit the account closure page and carefully follow the prompts until the final step where you'll select Mark account for closure. Be aware this deletion process typically takes 60 days to be fully completed. After being authenticated you should be taken to the My account screen. Scroll down to the Account details section and select Auto-recharge, located under Billing and payments. If you see a message stating Auto-recharge is not enabled, select your browser's Back button to return to the previous screen. If auto-recharge is currently active, take the appropriate steps to disable it before returning to the previous screen. Check the contents of the left-menu pane to confirm whether or not you have any active Skype subscriptions. If you do, follow the prompts to cancel them accordingly. As a final and optional precaution, you can choose to remove any payment methods you have on file, such as credit cards or checking accounts, by selecting Billing information (also found in the left-menu pane) and deleting any details that may be stored there. After being authenticated you should be taken to the My account screen. Scroll down and select Edit profile, found in both the left-menu pane as well as in the Settings and preferences section. The Profile interface should now be displayed. From here it's recommended you add or modify any and all personal information that may be tied to your account, as well as removing your profile picture. These values can be modified or cleared by first selecting Edit profile, then Save once you're satisfied with your changes. Scroll down to the Contact details section and do the same, getting rid of any addresses or phone numbers that could be traced back to you. Finally, scroll down to the Profile setting section. Remove the checkmarks next to Appear in search results and Appear in suggestions by selecting each of them once. Despite taking the actions above, you will never be totally hidden; users who have previously contacted you will still be able to by selecting on your name within their Skype application. Nevertheless, taking these steps will keep you somewhat off the grid. Skype for Business accounts are handled much differently than the everyday, personal Skype accounts referenced in the tutorials above. If you have a Skype for Business account you wish to delete, you'll most likely need to reach out to the account administrator. Since these accounts are usually handled server-side via the Office 365 administrator portal, the person or team in charge of Skype within your organization would most likely have to handle the deletion process.